Last Tuesday, October 14th of 2008, here in Los Angeles, twenty minutes before I was to go on my weekly radio show, I heard overhead via a fire/police helicopter to be prepared to evacuate, as we were now being put on an evacuation watch. For those of you who don’t live in California this means get ready to evacuate with our pets and what personal belongings we could get ready to take with us. I had to call the radio station 20 minutes before going on live, and tell them I am now on a watch and I would not be able to do my show which they completely understood. I then started to get the three boys ready. Here is what you need to do when it is calm, and there is not an emergency going on, in order to always be prepared. If you live as I do in the earthquake and fire country then you want to have an earthquake box filled and ready to be used at a moments notice. 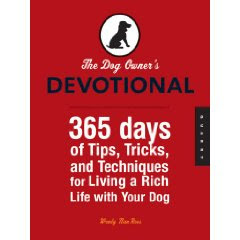 Remember to always have plenty of food and water, not only for you but for Fido also as a dog can go two weeks with little to no food but they cannot go for more than twenty-four hours without water, as they will die. So water is very, very important to have stored, and always have extra water in any vehicles you are driving. Pictures – this is something you cannot replace for you, your family and for Fido. So if you need to evacuate it is a good idea to try to keep your photo albums in one place; in case you need to go, you can grab all of them place them in a box and off you go with your memories and your loved ones with you. The material things can always be replaced, but the things you cannot replace, these are what you need to be know: where they are and be able to get them packed quickly. I need them to be trained and calm at all times so we practice getting all our leashes on and staying clam. Sometimes we do not go out, sometimes we do; the simple fact is now the boys are trained to know when I call for a walk or anything that involves getting ready to go out with leashes on they have learned to all sit and wait their turn to have their leashes put on. If they get all hyper we start all over again until all four of us get it right. This is why I say practice this is a training tool that I promise you will come in very handy. Would you love to have the Pantry of your dreams? We can do this for you! 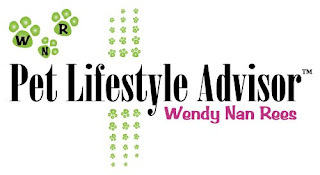 At Wendy Nan Rees- Pet Lifestyle Advisor™ we offer the very affordable Kitchen, Art, Pet™, Office pantry for you custom made. That is right custom made. We are not one of the Closets companies who charge you a fortune to come organize a pantry for you or build your dream pantry. Wendy Nan Rees comes out for a FREE consultation and once you like the design and budget we get started almost every pantry is done within one week this includes stocking your new pantry for you. Why not give us a call or email it is free and you never know how close to being completing organized you are. As a fashion publicist, I often find myself focusing on superficial things like clothing, makeup, pop culture, etc. since that is what my job entails. While I absolutely love my job and what I do for a living, there is still something missing. I need to know that I am contributing to the world in a greater way than one outfit at a time. Not to diminish the importance of that, but for me it is just not enough. As such, I recently started a group called Puppy Love, a group dedicated to creating awareness around the horrid conditions inside the puppy mills. Our ultimate goal is to generate enough support so that congress will listen and shut down the mills. Hundreds of thousands of dogs suffer in puppy mills in this country. The dogs are prisoners born into worse conditions than those in our country's maximum security prisons. They are locked in small cages where they sleep, eat, excrete waste and spend every minute of the day. They never step foot on grass or anywhere outside the cage, and some only have an exercise wheel so that any movement gets them nowhere. At least in our prisons, where the worst criminals are sent, each prisoner has a bed, sink, toilet and space to move around. They have recreational time twice a day, are served 3 meals in a cafeteria and have other activities they can participate in. These are individuals whose choices and actions brought them there. These puppies are just born into their prisoner and didn't do anything to warrant such a life. There are 2 culprits in this equation – the breeders and the pet stores – those who supply and those who demand. If there are no more puppy mills then the pet stores will have to look elsewhere to buy. Likewise, if the pet stores stop purchasing from the puppy mills there would be no business to operate. If people stop buying puppies in pet stores, the puppy mills will go out of business and the misery will end. While there is the Animal Welfare Act in place, the state and federal governments do not enforce the laws to protect the dogs. The commercial breeders and brokers have huge well-funded lobbying efforts. 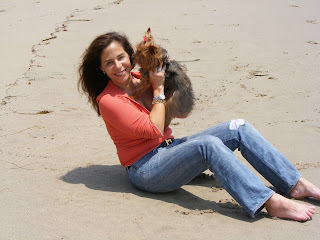 The only person who is going to make a difference for the dogs suffering in puppy mills is you. Each of us has the power to make a difference by helping to create awareness. I have created a petition to shut down the puppy mills and make them illegal. It only takes a minute to read and enter your name. 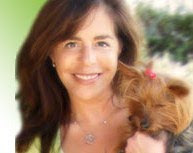 The signatures on this petition will be added to the Humane Society of the United States's petition to STOP Puppy Mills. With your support we will soon have a very loud collective voice that will get congress to finally take action. Click on the below in order to sign the petition and please forward this along to help generate awareness and gather support. As a fashion publicist, I often find myself focusing on superficial things like clothing, makeup, pop culture, etc. since that is what my job entails. While I absolutely love my job and what I do for a living, there is still something missing. I need to know that I am contributing to the world in a greater way than one outfit at a time. Not to diminish the importance of that, but for me it is just not enough. As such, I recently started a group called Puppy Love, a group dedicated to creating awareness around the horrid conditions inside the puppy mills. Our ultimate goal is to generate enough support so that congress will listen and shut down the mills. I have created a petition to shut down the puppy mills and make them illegal. It only takes a minute to read and enter your name. 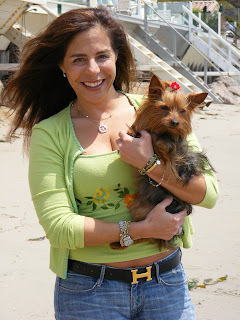 The signatures on this petition will be added to the Humane Society of the United States petition to STOP Puppy Mills. With your support we will soon have a very loud collective voice that will get congress to finally take action. We would like to know if you have heard our Radio show? Please just give us a yes or no. This will help us so very much. We will not be saving your email address unless you ask to. 1. FitFlops® give you a workout while you walk. FitFlops midsoles incorporate patent-pending micro-wobbleboardTM technology, to give you a workout while you walk. Developed by doctors at London's South Bank University, the FitFlop's® unique safely tapered midsole places varying densities of EVA under your feet each time you step, to challenge the support and balance muscles of the foot and leg. I am often asked "What is it you like to read and watch?" I have tried to make a favorite list for all of you here and on my web site. Please always feel free to email me any questions you may ever have. Often while friends are reading historical novels or si-fi, I’m happily devouring cookbooks. So when The Natural Pet Food Cookbook authored by Wendy Nan Rees arrived in the mailbox, the wrappings were eagerly torn off to reveal a charming book. Wendy’s scrumptious recipes are supported with the overview and comments of Kevin Schlanger, DVM. The book is comfortable to hold, stays open when being used in the kitchen and is easy to read. The pictures are cheery and humorous, making them a yummy treat for the eyes. The information is well organized and the book has a good index. Whether you are an experienced chef or a novice in the kitchen, and you want to cook for your dogs and cats, this book is for you. There are specific references to the dietary needs of both cats and dogs as they are such different creatures, with different nutritional requirements and different culinary preferences. Wendy goes over the pots, pans, tools and contents of the animal friendly pantry needed to cook her animal tested recipes. The food was prepared by different cooks and taste tested by a variety of animals, including her own three dogs; Senator, Cappy and Little Man. Some of the delights can be cooked in a slow cooker or stockpot and many finished dishes can be portioned out and frozen. Devoting one day to food prep and having weeks or months of ready to serve meals makes cooking for pets a real possibility. For both cats and dogs, she has suggestions for bulk recipes and budget meals. Instead of store bought food, trucked hundreds or thousands of carbon producing miles, make your own stews, biscuits, kibble and more. When at your local farmer’s market, shop for your pets as well as yourself. And look forward to some appreciative meows and gentle barks of excited gratitude. Well, it's happened yet again. This time it isn't dog or cat food; it's horse feed. Purina is involved in a voluntary recall, because some food they processed may contain toxic amounts of aflatoxin. I got this email in my inbox Wednesday May 7th, 2008 at 2:19 PM Central Time. 3. Between January 1, 2008 and March 10, 2008 at their Guilderland, New York plant. To date they have not received any confirmed aflatoxin-related animal health complaints involving any of the retrieved products. All dealers who purchased any of the retrieved products directly from Land O' Lakes Purina Feed LLC have been notified. The dealers are located in the following states: Connecticut, Delaware, Georgia, Maine, Maryland, Massachusetts, New Hampshire, New Jersey, New York, North Carolina, Pennsylvania, Rhode Island, South Carolina, Tennessee, Vermont, Virginia and West Virginia. For more information on specific products included in the retrieval, contact the Statesville, North Carolina, Feed Plant at 704.924.5100 or the Harrisburg, Pennsylvania Feed Plant at 717.737.4581.